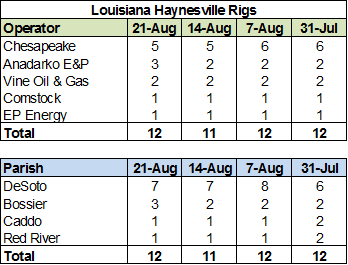 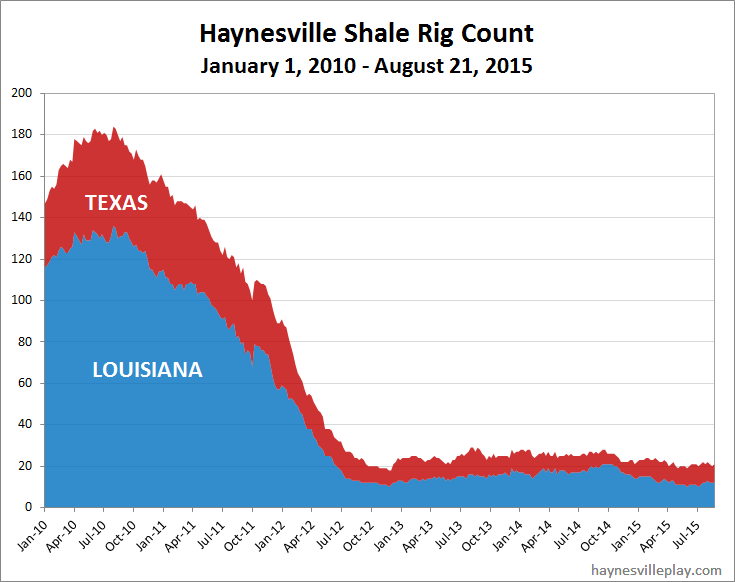 The Haynesville Shale rig count held at 21 over the past two weeks. 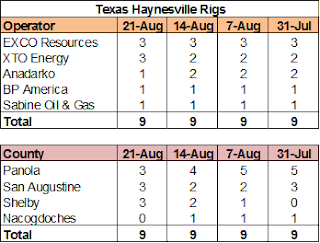 Louisiana held at 12, while Texas was unchanged at nine. 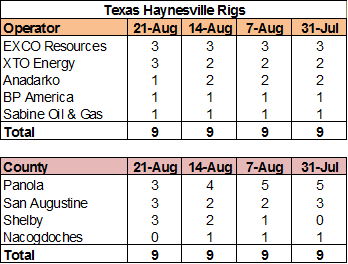 Over the past two weeks, Anadarko moved a rig from Texas to Bossier Parish, LA, Chesapeake was down one rig and XTO added a rig to do a workover in Texas.